Every year it happens a television series appears on the box and suddenly that hobby becomes oh so cool and ever so popular. We've seen it with the Great British Bake Off where baking is the latest craze and everyone is talking cupcakes. Although I do still wonder what ever happened to fairy cakes and when they grew up and got larger and became the cool big brother cupcake? Since the sewing bee came back onto our screens my enthusiasm for dress making has been ignited once again. 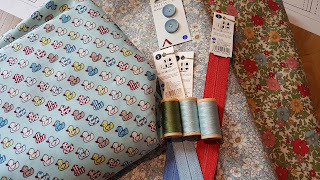 Although If I'm completely and brutally honest the latest series of the Sewing Bee does seem to be a bit too clever for my level of sewing and as I watch, even myself a keen amateur sewer i'm losing interest. I don't see myself making a lace bra or a Chinese blouse anytime soon. 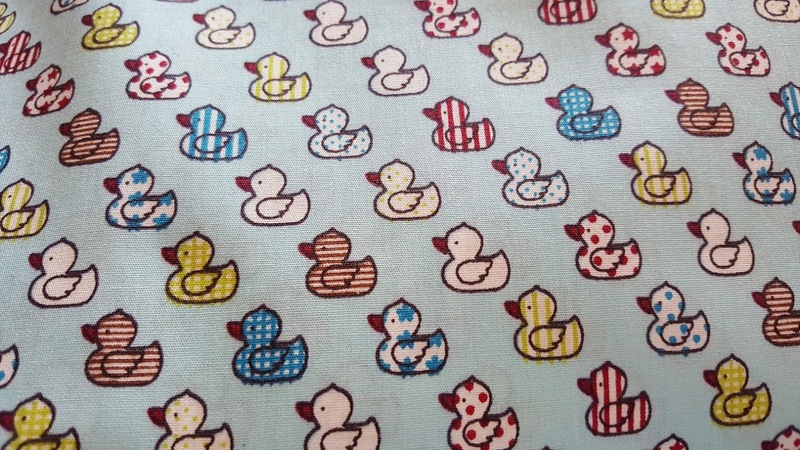 However I still have the book from the first series of the sewing bee that includes basic garments and easier patterns and in particular some lovely summer dresses. 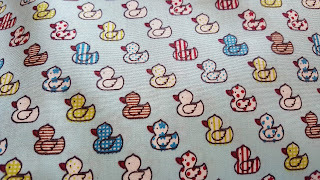 As I have some gorgeous materials currently at home in my sewing box I decided to make a summer dress out of this AMAZING rubber duck material. 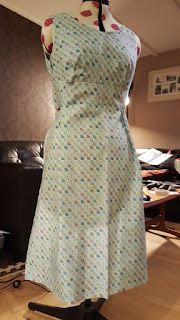 As the summer is now in full swing I decided to make the summer dress and started by printing out the pattern rather than try to draw it out myself. This was a time consuming job all on its own and consisted of printing out 32 A4 pieces of paper, cutting them all down to size and sticking them together took ages and then once fixed into a pattern it was time to cut all the pattern pieces out. 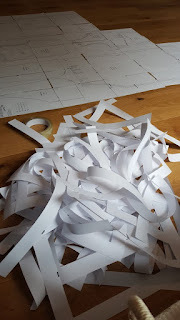 With all my pattern pieces cut out of paper it was time to pin these to the material and start cutting the dress pieces. I decided to go for the next size up to what I normally wear to give myself a bit of wiggle room and material to take in rather than cut it too small and be stuck. However now that it is placed on the mannequin it looks worryingly small for me, but I will persevere. 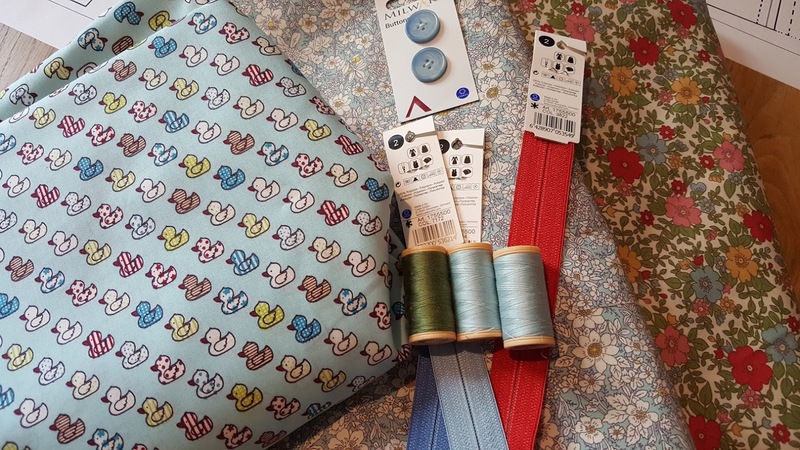 With all the pattern pieces cut out it's time to start sewing my new dress together. 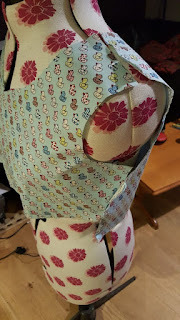 The front and back bodice has been pinned, tacked and sewn and the centre panel and skirt are pinned in place on the mannequin ready for sewing.